October 24th, 2014, RENO, NV: 2014 King of The Hammers winner, Loren Healy continued his winning streak at last weekend's Nitto Tire National Championship presented by 4 Wheel Parts held at the Wild West Motorsports Park in Reno, NV. Saturday's event featured 106 ULTRA4 teams competing in front of more than 5200 spectators at the first ever ULTRA4 race held at the park. The Nitto National Champion is determined by the driver with the most points after competing in King of The Hammers, 3 Regional ULTRA4 Races, and the season ending Nitto Championship Race. With Healy's win on Saturday he successfully won all five races and ended the season with a perfect score of 5000 points. Going into last weekend's event, less than 300 points separated Healy from Reno's own Jake Hallenbeck, who's been consistently on the podium all season long. Since the debut of his car in July at Glen Helen, Healy has been undefeated. 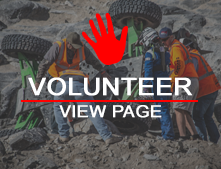 The question going into last weekend's race was if the substantial rock obstacles added to the track for the ULTRA4s at Wild West Motorsports Park would prove a challenge for Healy. After laying down the 2nd fastest qualifying time on Friday, it was clear to everyone that Healy was going to be tough to beat. When the green flag dropped for the main on Saturday, it was two-time King of The Hammers winner, Shannon Campbell that ultimately gave Healy a run for his money. The two drivers raced side-by-side, nearly identical laps with the crowds watching in awe. That is, until Campbell went for the pass on a long downhill straight-away and caught a boulder at the bottom sending him into a roll, allowing Healy to clinch the lead. By mid-race, 2012 KOH Winner, Erik Miller was gaining on Healy, and this year's ULTRA4 European champion, Levi Shirley had made his way from a last place LCQ starting position up to the front of the pack. As the checkered flag dropped, Healy clinched the win followed closely by Miller with Shirley completing the podium. All five limited classes also raced for Championship titles this weekend as well. In the 4500 Rubicon Express Modified class after a battle all season between 88 John Currie and 4580 Jordan Townsend, it would be Currie who clinched the win and the 4500 Nitto National Championship Title for the 4500s. In the 4600 Pro Comp Stock Class, 4608 Matt Peterson took the win in Reno, however, with two regional wins and a 2nd place in Reno, it was 4612 Ben Varozza earned the title of 4600 Nitto National Champion. For the 4700 Spec Class, UK native Rob Butler took the win in Reno, but 4703 driver Jessi Combs secured the Championship by a landslide with her multiple podiums all season long. In the new 4800 Legends class it was newcomer 4881 Ernie Hardaway who won the race, however, veteran ULTRA4 driver Dave Schneider in his 4871 Legends car went home with the National Championship. In the UTV Class it was Darren Mitchell who came through and won the race in the #3 UTV. A tight UTV National Championship point race between Off Road Evolution's Mel Wade IV and Brian Hogue saw Wade narrowly beating Hogue to claim his first ever National Championship before the age of 16. Several other awards were given out at the banquet on Saturday night which was attended by more than 500 people at the Atlantis Casino. Nitto Tire paid for every driver and co-drivers dinner and Currie Enterprises bought each driver and co-driver their first drink. The ULTRA4 Sportsman of the Year award was given to Levi Shirley. This was Shirley's 2nd time being voted Sportsman of the Year by his peers for his professionalism both on and off the race course. The 2014 Rookie of the Year award went to Car #54 Mike Bou for his consistent finishes throughout the entire season in his first year of racing. The final results for the race are below followed by the results for the National Championship.